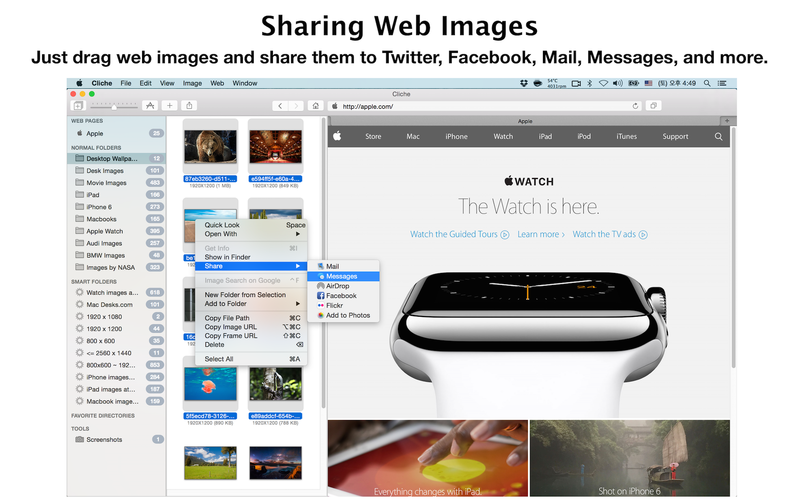 The easy yet powerful web image collection app for the Mac. 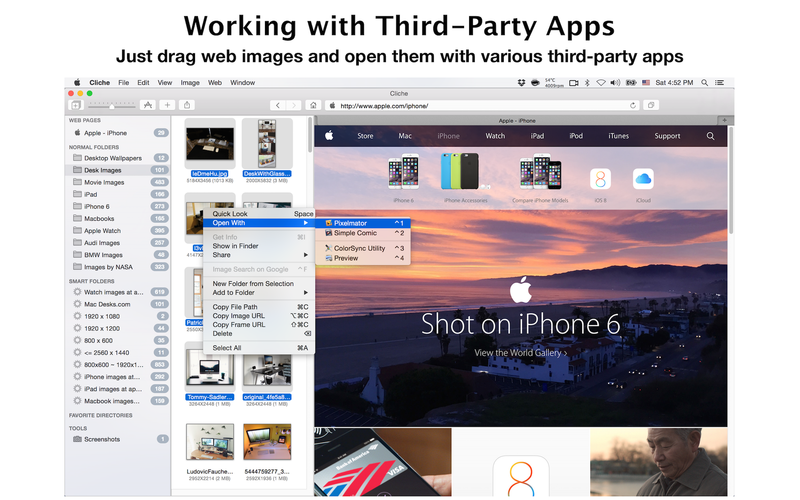 Cliche enables you to quickly and easily collect web images with powerful handy tools. Just browse the web with Cliche. All web images are already ready for you. Mac OS X 10.9, or later. Click here to contact our team……….